When it comes to car maintenance, there are two main things that people always say you need to know. The first is how to change a tire. The second is how to check your oil. While these basics are a good start, there are other car maintenance procedures that you should know how to do. One of these is how to remove and install a lug nut. After all, lug nuts are what hold your wheels onto your car. If they fail while you are driving, you can only imagine what it would do to your driving. While it is highly unlikely that all your lug nuts would fail at the same time, it is still good to know how to replace and install them. When a lug nut breaks, the first thing you will want to do is remove it. To remove a lug nut properly, you will need a few tools, mainly a wrench, a jack, and a socket wrench. The first step is to loosen the lug bolts. Your car should remain on the ground during this step. Using a wrench, you will want to loosen the lug bolts. But do not pull the lug bolts off once they are loose. Second, you will want to raise your car using a jack. Be sure the tire is more than a few inches off the ground. Once the tire is off the ground, remove the lug bolts and the tire. The third step is to remove the brake caliper. You should be aware that the driver bits needed to remove a caliper is different for each manufacturer. You should look up the correct one for your caliper. 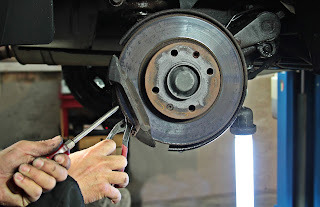 Once the caliper is off, hang it from your car with a wire hanger to keep the weight off the brake line. After the caliper is off, remove the caliper mounting bracket. Finally, remove the rotor and set it aside in a place where it will not get scratches or oil on it. Using a metal hammer hit the lug bolt out of the back of the wheel. After you have removed the old broken lug nut, you will need to install a new one. To install a new lug nut, your wheel must be turned to align the hole with the slot on the rear hub flange, which allows the clearance to thread it through. The first step is to brush away any rust from the wheel using a metal bristle brush. After brushing the rust away, you will need to lubricate both the bolt and the bolt hole. Insert the bolt into the hole as far as it will go. Second, thread a large nut over the end of the new bolt. The nut should not thread onto the bolt but slide over it like a washer. Finally, thread the new lug nut over the end of the new bolt. Using a lug wrench, tighten the nut. This will draw the hub until the bolt head is flush with the back the flange. Once you remove the large nut and tighten the lug nut, you are finished. Get New Lug Nuts Today! Now that you know how to remove and install lug nuts, you will want to keep some on hand. To get the best lug nuts, visit EZ Accessory today. How much do you know about your tires? You probably know they help the car move and they are the only part of the car that touches the ground. But, other than those couple of facts, you probably don't know much about tires or tire accessories. Tire maintenance is not something most people are familiar with. During driver's education, you learn the rules of the road, not how to maintain your car. In most cases, your mechanic does the routine maintenance. While regular maintenance is a good idea, you should also know how to maintain your tires and tire accessories. The following tips will help improve your car's performance, extend tire life, and protect your investment. Most people only check their tire pressure when the low pressure light comes on or before going on a long road trip. However, it is important to check the pressure of your tires regularly. Low air pressure in tires can cause uneven wear, decreased breaking and handling, and excess heat. Any of these issues can cause structural failures like blowouts and tread separation. Properly inflated tires will maximize tread life, increase fuel efficiency, and improve the overall handling and safety of your car. Installing one new tire is not a good idea. If you only install one new tire, it can mess with the handling of your car. It is better to install two tires at once to the rear of your car. The worn out tires should be moved to the front of the car. 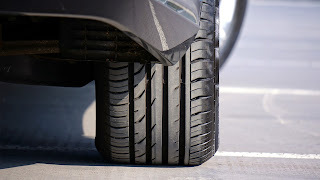 Having your tires this way will help with the overall handling of your car. Rotating your tires helps with the wear on each tire. If tires are not rotated, then one tire can become too worn and mess with the performance of your car. You can find the tire rotation schedule in your owner's manual by speaking with your local mechanic. Your car's system won't catch every issue right away. There may be a nail or hole in your tire that the system hasn't registered yet. This is why it is important to check your tires regularly. You should look for cracks, nail, holes, or anything else out of the ordinary. If you find any of these issues, you should have them taken care of right away. Tire accessory maintenance is just as important as tire maintenance. If your tire accessories are not well maintained, then they can cause issues with your tires. The maintenance for every accessory will be different. 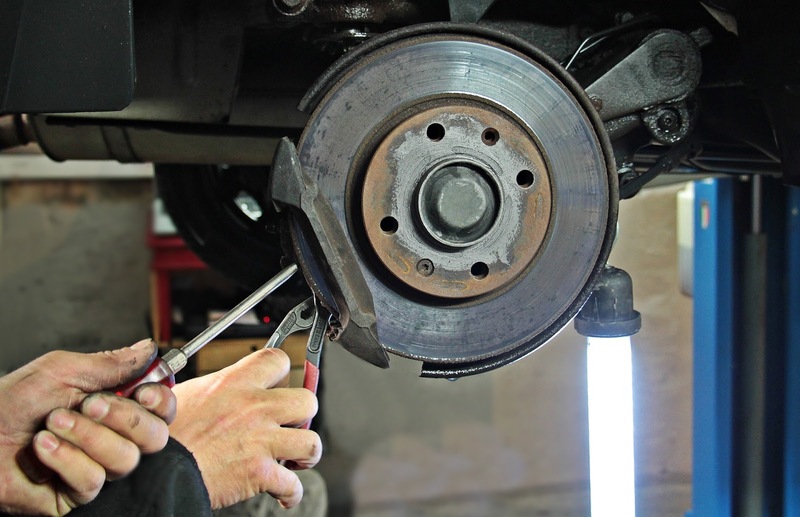 It is important to read about the proper maintenance to ensure you do not have any issues with the accessory or your tire. You may need to grease up one accessory, while another accessory may need to be tightened every so often. For more information about tire accessory maintenance or to buy a new tire accessory, contact EZ Accessory today.